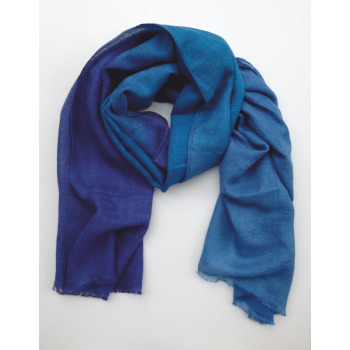 Fantastic stole / scarf made 70% of Baby Alpaca wool and 30% of silk is hand dyed with environmental friendly dyes. This stole in multicolor fantasy is a unique piece, very soft, warm and extra light, there can’t be found another similar one. A unique piece only for you! Size Approx: 1,90 cm. x 0,75 cm.